The End of Summer 2013, The Beginning of 2016 | What Would The Founders Think? The summer of 2013 is winding down, which means only one thing – it’s time to start thinking about the 2016 presidential election. God knows the potential candidates are thinking about it. Here are some top Democratic contenders. Of course, Hillary Clinton is the favorite to win the Democratic nomination. Why? Is it because she was a stellar junior senator from New York? Well, no. 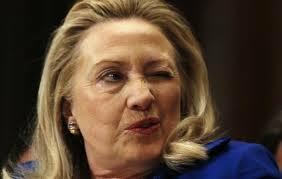 Perhaps, it’s because of her accomplishments as Secretary of State under Barack Obama. Not exactly. Is it because she is married to Bill Clinton? Of course. What exactly does Hillary Clinton stand for? Well, mostly for Hillary Clinton. That seems to be fine since that is what most Democrats stand for too, once they are done standing for Barack Obama. It’s not like they have principles or anything. If Democrats actually had principles, Nancy Pelosi, Miss Lube Rack of 1955, might have graduated to Ms. Senior Assisted Living Lube Rack of 2013, but would never have become Speaker of the House and Harry Reid would be the men’s room attendant at the Flamingo Hotel and Casino in Las Vegas, not Senate Majority Leader. Both CNN and NBC plan on producing television movies on Hilary Clinton to air sometime prior to the 2016 campaign season kicking off. Good thing there is no bias in the mainstream media or this might appear to be an attempt to sway would-be voters. At present, we are not sure if either of these will be broadcast as a mini-series or as just a one night stand. Bill Clinton is lobbying for the one night stand approach as he has some familiarity with that concept. Although there has been no formal announcement of her candidacy, we have learned that bumper stickers and pins with the campaign slogan Hillary 2016: Because what difference does it make? have already been produced. 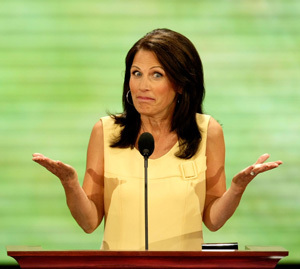 The current vice president (I know, it still makes me giggle too) is said to be eyeing a run at 2016. 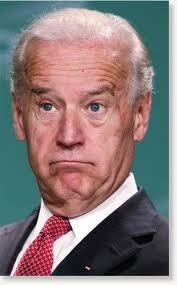 By then Biden will be, we think, 106 years old, making him the presidential oldest candidate in history. It is common for presidential aspirants to release a book prior to their actual run for office. We will naturally look forward to his book An Episode of Disorientation and Weakness: My Career in Politics by Joe Biden. We can be assured of many zany episodes involving Joe and a shotgun. Hilarity no doubt ensues. Like his previous book, The Audacity of a Dope, this one will also be translated from his native Biden-speak into English. Hair Club for Men will be a major donor to his campaign. His hair, unlike Joe himself, looks so natural. 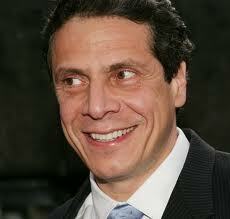 The current governor of New York has pooh-poohed any talk of him running for president in 2016. Naturally, this means he will be running for president in 2016. A recent McClatchy-Marist poll has him at just 6% among Democrats and left-leaning independents. The bottom line is that one can only stay in Albany for so long. 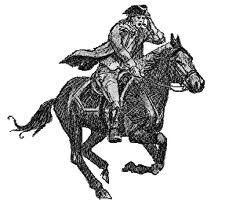 We were surprised to learn that Martin O’Malley was the governor of Maryland. Apparently, Maryland residents were surprised to learn this as well. The same McClatchy-Marist poll has O’Malley with a solid 1% support. He is clearly buoyed by how solid that 1% support is. His potential campaign slogan From Maryland to Washington, D.C. – It’s a Short Commute needs some work. 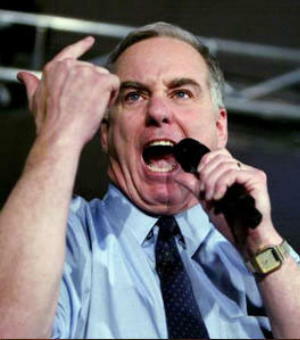 When we last saw Howard Dean he was making some sort of pig noises early in the 2008 presidential campaign. While he has made no formal announcement, should he run again in 2016, we understand he will go with ocelot or gibbon noises this time around. Current odds: Handicappers have been unable to provide odds for animal noises. 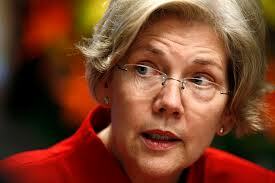 This one has come out of the blue recently, but we are oh, so excited as she is an unconfirmed 1/36th Cherokee. We are naturally enthusiastic about the potential Native American recipes that will be plagiarized this time around, like maybe some Cherokee dim sum. Given that the Republicans haven’t won a presidential election since 2004, there are even more candidates from that side. Here is a look at some of the major contenders. New Jersey Governor Christie’s star among Republicans has dimmed some (not to be confused with the afore mentioned Cherokee dim sum) since his canoodling with President Obama in the aftermath of Hurricane Sandy. Standing together, it should be noted, Obama and Christie did look very much like the number “10.” He is a Republican from a northeast state, where conservatives are not in abundance. His recent spat with potential presidential rival, Rand Paul, has not won him favor with conservatives and libertarian-leaners within the party. 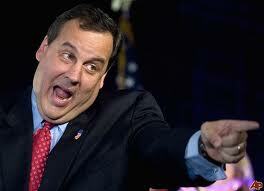 We do not know yet if any networks are considering producing a television movie about Christie leading up to the 2016 campaign. However, we can be certain that, should one be made, it definitely won’t be a mini-series. Once considered the new darling of the Republican right, he too has lost some luster since he became a gang member (Gang of Eight). 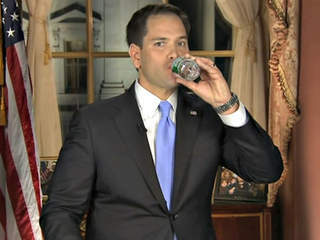 We’re not sure what any immigration legislation will ultimately look like if it comes out of the House of Representatives, but if it looks like what was concocted by the Gang of Eight, Rubio might be as likely to win the Republican nomination as the Oakland Raiders are of winning this season’s Super Bowl. Cruz is currently considered the new darling of the Republican right. Although he has only been in the Senate for less than a year, he has already made a big splash – enough of a splash that Cher has announced she doesn’t like him. Certainly having Cher on the opposite side is a plus for Cruz and the American people as it virtually guarantees there will be no “I Got You Babe” duets planned. 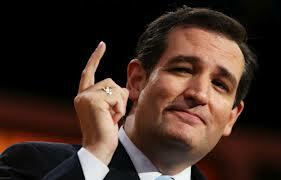 Cruz is currently leading the campaign in the Senate to defund Obamacare. We are not sure that this has much chance of success. Nevertheless, should this plan be successful, we have a list of several other things the federal government does that can be defunded. We suggest that he not tackle Sesame Street, however. That did not go well for Romney the last time around. 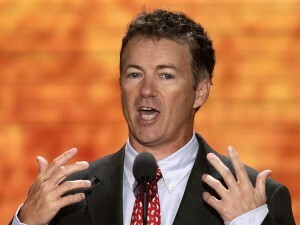 Paul’s libertarian leanings give pause to some of the more hawkish Republicans. Libertarian leanings or not, we are confident that in the event of a Benghazi-like attack, his first questions would not be: 1) What movie was playing, and; 2) When’s my tee time? 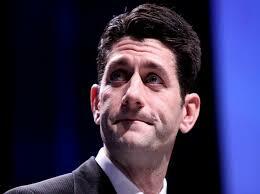 Ryan would give Ted Cruz a run for his money in the “Smartest Guy in the Room” competition. (Yes, even – or especially – if Barack Obama is in the same room.) Ryan knows budgets inside and out, which may not be a precursor for a successful presidential run since most American don’t know their own household budgets that well. She has not made too much noise at this point about running in 2016, but has also said she “hasn’t taken anything off the table.” We’re not sure if this was in reference to a possible presidential run or merely a statement about the fact that she assigned the task of removing dinner plates from the table after meals to someone else. Should she run, we do hope that she doesn’t confuse the anniversary of Elvis’s death with his birthday again. She’ll need all of the Tennessee delegates she can get. The Bush family scorecard in presidential races is three out of five. (George H.W. Bush was a losing contender in 1980, won in 1988, lost in 1992, George W. Bush won in 2000 and 2004). That’s much better than William Jennings Bryan (a spotless zero for four) or Adlai Stevenson (lost back to back elections to Ike), but Jeb may be pushing the odds a bit. One thing seems to be clear, Americans like their Bush’s as ex-presidents. Republicans may still be suffering Bush fatigue too, so Jeb’s chances of becoming an ex-president may not be good. The former U.S. ambassador to the United Nations is considering throwing his hat in the ring. Before doing that, however, he ought to first consider a shave. 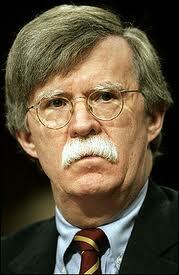 There hasn’t been a president with a moustache since Taft (1909-1913). Thomas Dewey was the last presidential nominee – and we know how successful he was. If only he had been clean shaven, Dewey Defeats Truman might have been the correct headline. I just can’t see Hilary getting the nomination. 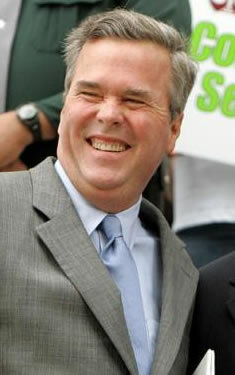 Maybe Chelsea would be a better bet if Jeb Bush is in the race.